Tom Morello defended late Cuban president Fidel Castro’s legacy in a lengthy social media post where the guitarist praised the controversial leader. 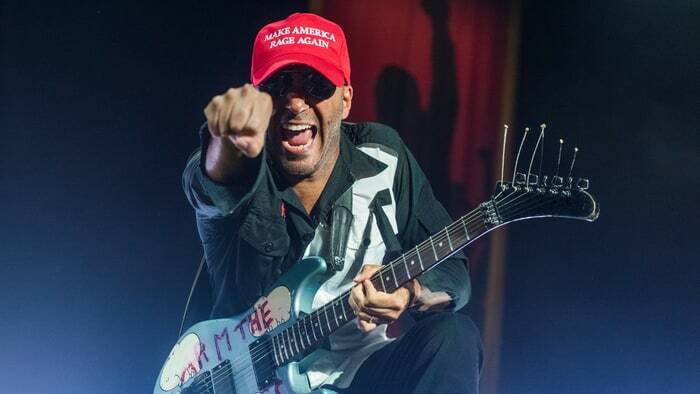 Tom Morello defended late Cuban president Fidel Castro’s legacy in a lengthy social media post where the Rage Against the Machine guitarist praised the controversial leader. “While I don’t agree with all that Fidel Castro did there is ample reason why he is vilified in the US and yet remains a huge hero throughout the Third World,” Morello wrote. Morello, with Audioslave, became the first U.S. rock band to perform in Cuba when they staged a free Havana concert in 2005; Morello’s previous band Rage Against the Machine often employed iconography and philosophies from Castro’s friend and fellow revolutionary Che Guevara during their tenure.